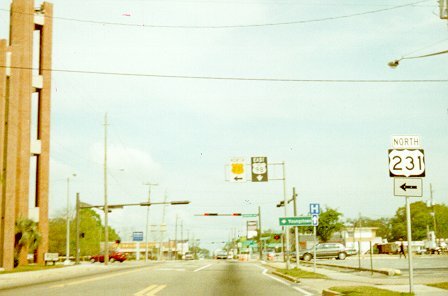 Rather than get truncated back to the US 98 "bypass", US 231 continues to end at its old location at BUSINESS US 98 in Panama City. Note the use of colored shields on the overhead sign. Photo by Adam Froehlig, taken late March, 1999.